The opposition UPND says the ruling by Lusaka High Court that Speaker of the National Assembly Patrick Matibini erred to declare Kasama Central seat vacant confirms that the Speaker is bias. UPND said this in a statement to Zambian Eye. When Hon. Jack Mwiimbu raised a point of order over the bias of the Speaker in the National Assembly a few weeks back, the Speaker responded “Posterity will judge me”. It now looks like we do not have to wait for posterity, the High Court has done just that for us in the case where Geoffrey Bwalya Mwamba (GBM) sought judicial review concerning his expulsion from Parliament. In July last year when GBM was appointed Vice President for the UPND, the Speaker expelled GBM from Parliament through a point of order on the pretext that he had crossed the floor. What we do not understand is why the Speaker went above the law that regulates the expulsion of Members of Parliament from the National Assembly. There were two cases at the time in which the head of the LEGISLATURE decided to act as judge and legislator, the other involved Hon. Patrick Mucheleka who the Speaker claimed was an innocent by stander in that situation. Well the birds have come home to roost via a court ruling that is setting the record straight, that an endorsement of another Presidential candidate is not a basis for expelling a sitting Member of Parliament. GBM did not state that he had left PF to join UPND, but rather that he was endorsing HH of the UPND. When Hon. Mwiimbu made that point of order the Speaker denied his assertion, but this court ruling has exonerated Hon. Mwiimbu. 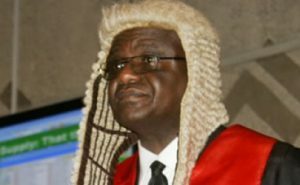 We have observed on several occasions how Speaker Matibini has applied the law and parliamentary procedures selectively to the advantage of the PF. This rests this matter of his perceived bias, which has included UPND MPs wearing PF regalia yet remaining in Parliament even when the party has written to him to expel them. Still posterity has now arrived early for Matibini. Speaker Matibini was spot on! GBM and all UPND leaders and cadres should not boast on legal technicalities.We all know GBM belongs to UPND why should he continue to paid as PF MP? Imagine a divorced wife Mrs FF still possing as Mrs FF even when divorced and she even hates Mr FF! Zakeyo I am amazed at your ignorance, even in your example a woman can chose to retain her marriage name until she remarries, next. It’s called Checks & Balances you dull idiots! You should be praising the country for displaying democratic process. HE Z A FOOL PF CADRE.. Meanwhile the speaker could not take action on both Greyford Monde and Richwell Siamunene who have openly stated that they will recontest their seats on the PF Ticket. If it was UPND MPs they would have been in trouble for stating this action. The speaker made a mistake to have chosen to be dining and living in a hyena kraal.you see he has even started behaving like them.Hyenas are now at peace in that they have even started increasing the quantity of their bones amidst the suffering of the whole world. They are eating bones with both hands. Hahah Matimbini, ubukopo uyu Tata. I have said this before that this Matibini is a PF cadre, who has sacrificed his integrity for a piece of bread, what a silly and foolish man.